It’s life, Jim, but not as we show it. 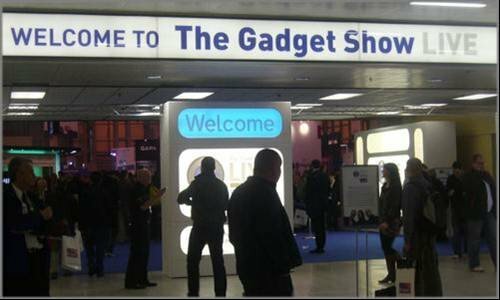 Birmingham’s National Exhibition Centre (NEC) hosted the Gadget Show team and their wide-ranging exhibition. Not so much an expo, more a market place, the hall was filled with a patchwork of representative companies across the spectrum of gadgetry. Many of the industry giants were missing but everyone seemed to be having a good time.